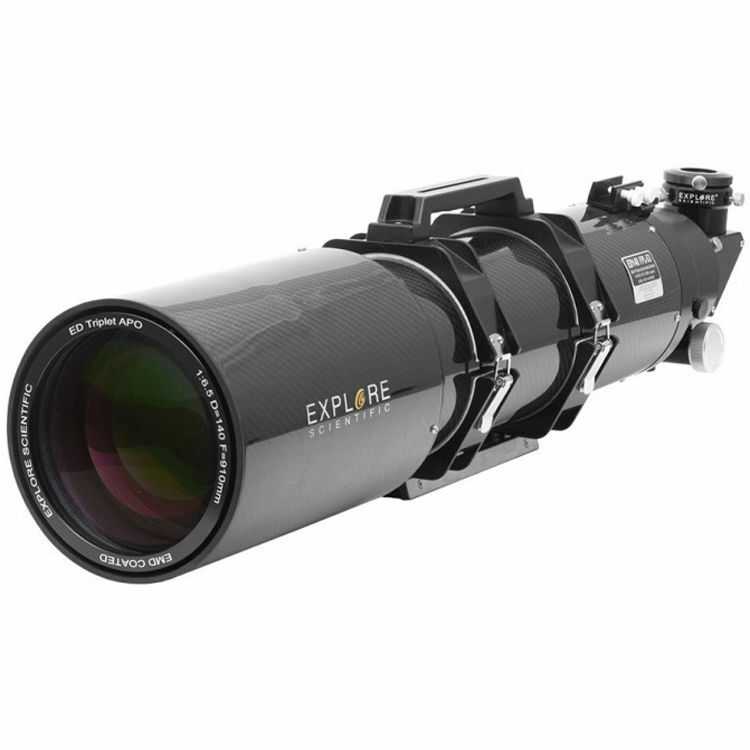 Ideal for both visual observation and astrophotography, the Explore Scientific ED 140mm f/6.5 Air-Spaced APO Triplet CF Refractor is ideal for lunar, planetary, and deep-sky viewing while still being highly portable. 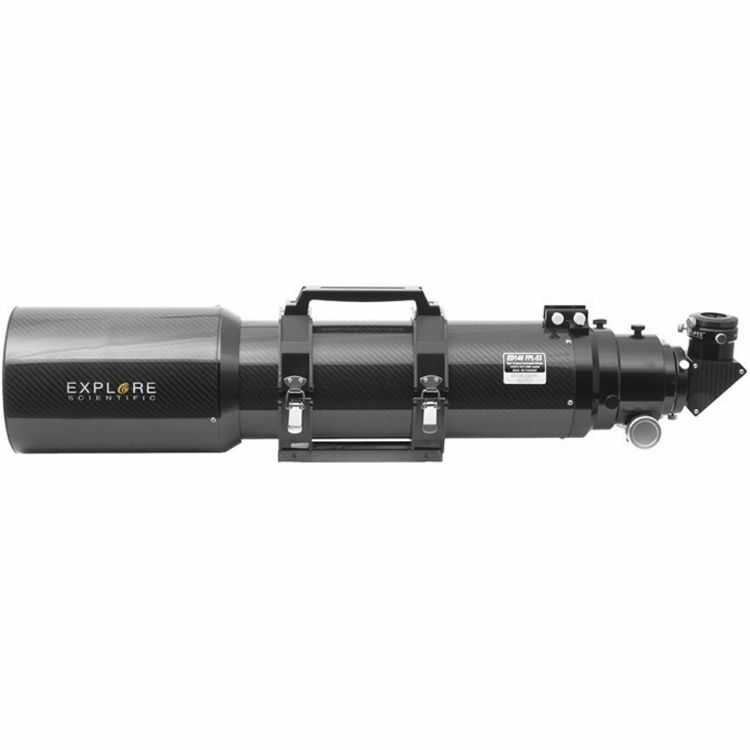 Using Ohara FPL-53 extra low-dispersion (ED) glass in an apochromatic air-spaced triplet lens configuration, with fully multi-coated optics, produces images that are clear and bright without fringing, halos, or distortion across the entire field of view, with true color rendition and high contrast. 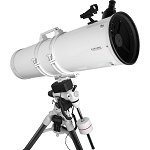 The fast focal ratio, when combined with the optical performance, makes this an ideal astrograph to capture images with accurate colors and limited distortion across the entire field of view. 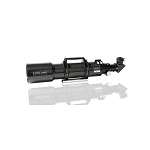 Offered here as an OTA-only option for those with reliable support systems, the carbon fiber tube weighs just 21 pounds, and can be carried by a wide array of mounts. 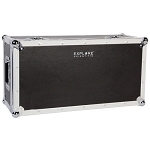 A cradle ring set is included, with an integrated handle for safer setup and breakdown. 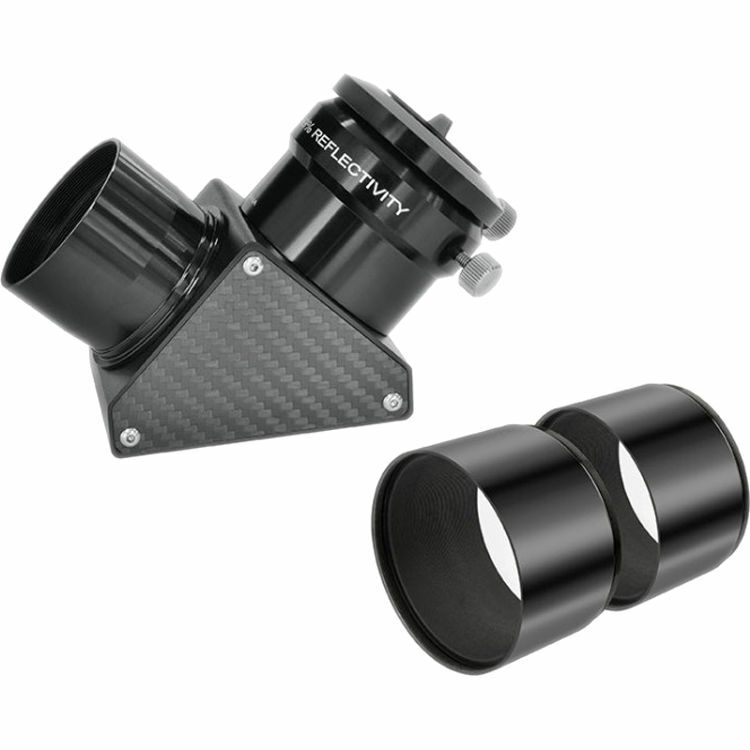 A Vixen-style dovetail plate makes it compatible with a wide array of alt-azimuth, equatorial, and GoTo mounts. 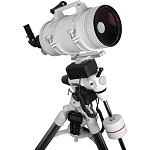 The cradle ring assembly also allows the orientation and position of the OTA relative to the mount to be adjusted for better balance and to avoid interference with equipment or mount. 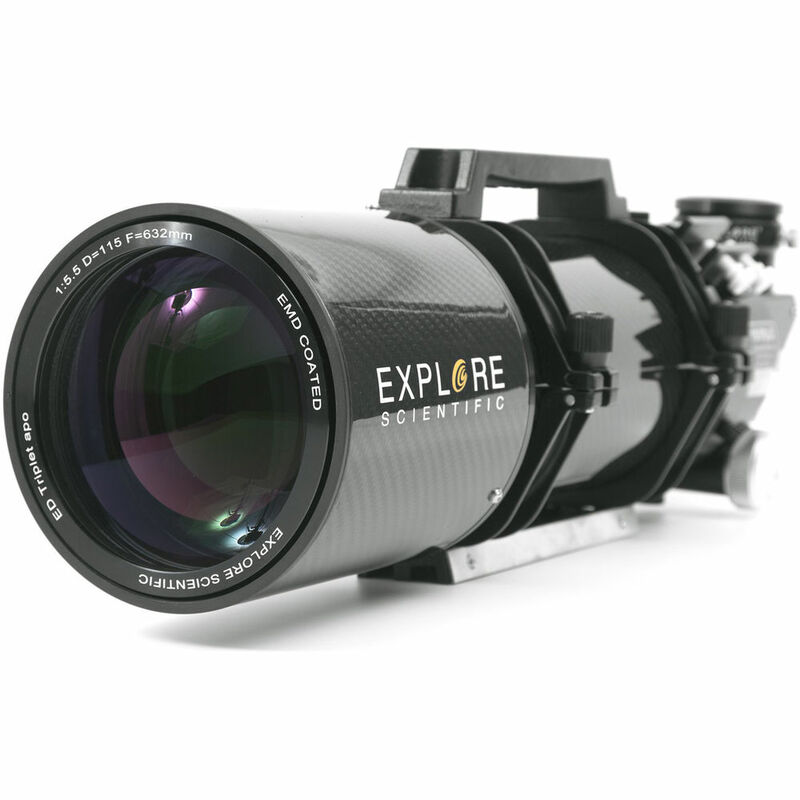 The OTA's carbon fiber construction also resists the expansion and contraction common in metal tubes when moving between extreme temperatures, which can cause the internal lens elements to move out of alignment over time, affecting the scope's ability to achieve sharp focus and causing fringing and halos.